Do you know people who have birthday months? Meaning, they celebrate their birthday every day for the entire month of their birthday? I do, and it cracks me up. For these people, you really need to bring your A-game for your card. I skipped last month's Hero Kit because my life was crazy, but THIS MONTH, let's talk about A-game, shall we? The second I saw this puppy I knew what needed to happen. I needed to put every stamp in it on the lid of my MISTI and make a pop-up box card! I stamped them all at once and colored them with the Copics listed below, and then die cut them all at once - saves a ton of time to stamp everything together and then die cut it together. Just be sure the images are far enough apart on your MISTI to leave room for the dies. Then I made a modified version of the pop-up box - because I wanted to use the STUNNING shimmery blue paper in the kit - measurements below. That just goes to show you you can make these little guys any size you want. My photo does NOT do the shimmery cardstock justice. It's a beautiful, shimmery navy blue. So if you want to wow one of those birthday month people, I highly recommend you do this. How could you NOT feel appreciated pulling this out of an envelope and having all the goodies wiggling in the air? You cannot. I am certain of that. I had SO much fun making this card! I actually spent an hour filming the entire thing, and then I got a message saying my phone storage was nearly full so it didn't save the video and I almost cried. But thankfully - there's a full tutorial on this cute card at Splitcoast. I modified the measurements to fit the BEAUTIFUL shimmery navy cardstock in the kit, which is 5.5 x 8.5 - thanks to some help from Dina, who can math :). So on these pretty shimmery sheets, the vertical score lines are at 2, 4, 6, 8 - and the horizontal score line is at 2" - the rest of the instructions are as they are in the tutorial, here. Every time I make one of these, I wonder why I don't make them more. It's one of the few 3D projects I'm just crazy about. I'm hopping along with some amazing people today - so be sure and visit them to see what they've done with it - I've seen some peeks on Instagram - wow! Two Fancy word dies - "cheers" and "party"
There are also some fun add ons - stencils and other goodies - you can see the full kit here. Now get crackin' on the hop and maybe YOU will win the kit they're giving away. Or, if you're like me and suffer from FOMO, you can just buy it. I hope you had an awesome weekend - I am still in shock that it's December and as usual, I'm completely unprepared, but also still have plenty of time to procrastinate :). Wow! Just Fantastic! I love pop up box cards and yours is GREAT! I love how you used all of the elements to make a pop-up box card! It is adorable!! Thanks for sharing. Love this! And that blue shimmer paper! I need me some! What a great 3D project! Thanks for the tutorial. So much cuteness! Love pop up box cards! Thanks for sharing! 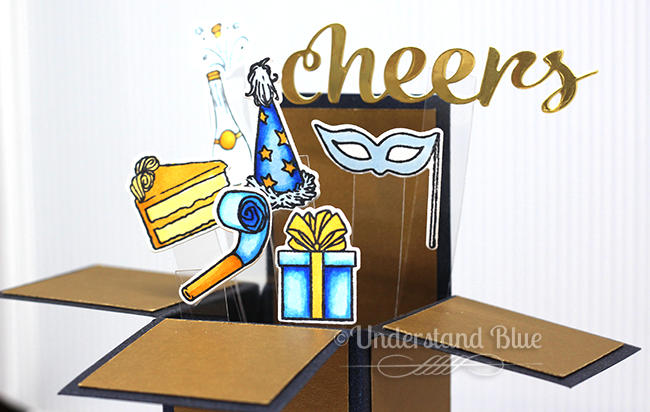 Such a fun pop up party card! Cheers to your wonderful box card creation. What a FUN project! Just too cool! WOW, Explosion of FUN here! Wow! I am seriously tempted to try my hand at making a pop up box card after seeing this beauty! Thanks for including the link to the tutorial. I am definitely checking it out! Fun, fun, fun! Love this card and can't wait to try making one with this fabulous kit! Awesome explosion box. Thanks for sharing. Awesomeness in a box! I do know a couple of. Leos who celebrate their birthday for weeks. Thanks for the inspiration. Elegant and fun at the same time. Nice job. Love what you did with this kit. It's a celebration in a box. Wow and wow!! Love it. Obviously need to check out the tutorial and the kit. TFS. I love cards in a box a lot for many kids' birthdays. Love this grown up version here. Wow, what an incredible card! Anyone would be thrilled to receive this!! Thanks for sharing it! Simply adorable project.....I'm ready to PARTY!!!!! I so did not think of a pop-up box when I saw this kit. Thanks for thinking outside of the box and bringing this! Very creative & fun. Very creative! Thanks for sharing this on the hop!! I love "interactive" cards and this pop-up one is adorable. I'm definitely going to case this one. Thanks for sharing. Love your pop-up box card. Great idea editing to a smaller size. All the party stuff waving at one, just makes you smile. Thanks for sharing your creativity. 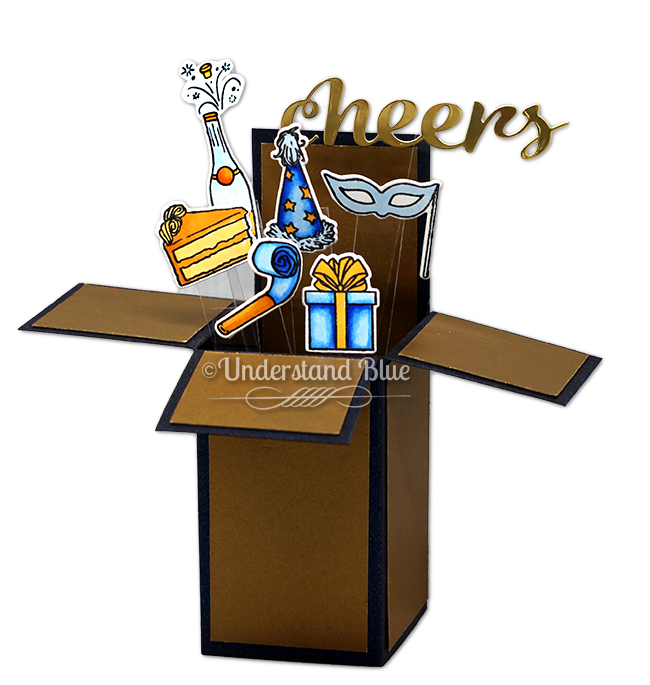 LOVE your pop up card, perfect party card! 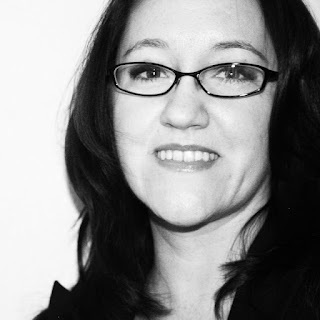 You really have a gift for creating and selling! Such a great kit! I'm sold! A NEW YEAR already? This kit has it 'goin' on'! And so do you, party girl! That is fantastic and I am so impressed you altered the sizes to make it the size to fit your supplies too. Pop-up box cards are some of my favorite cards to make. This one is great lots of fun. definitely a fun card to make or recieve! What a wonderful use of the collection. You are so talented. Oh WOW your card is amazing!!! Love it and this new kit!! OMG! Your post just cracked me up!! I also know people who do a celebratory birthday month & some who just do a celebratory week!! And then there are those people who work full time like me that at least take their birthday off!!! Your pop up card is outstanding!! Gotta LOVE that shimmer!! Fun card with pop up. Lots of comments, very good. This is a great one. OMG - LOVE the pop up card. BTW - I always take vacation for the month around my birthday - because I am one of those people! This is soooo cute! Love the pop-up feature! Love this so much Lydia. How much fun would this be for the recipient? OMG - what great inspiration. And a fabulous kit from Hero Arts. I love pop up box cards too! This one is super fun!! Great box card, great use of this fantastic kit. Wow this is so awesome and I cracked up at the thought of a birthday "month"~! I haven't met one of those people yet but will be on the look out for them now ;) This 3D project looks so cool, will have to check out your tutorial.. thanks for sharing! The kit is amazing. Love the pop-up box. I'm sure your video would have rocked. I totally want to make some more box cards and your card has inspired me! So cute!!! Who wouldn't just love to open that beautiful box?! Lots of great elements for a card-in-a-box. Still haven't made one of those. Fabulous box card! Great idea on how to use this awesome kit! Love the festive look and the colors! The kit stamp set just seems to be made for a box card. It is perfect. What a creative way to use this month's kit! The more I see of the kit and the add ons the more I want it. I love the navy blue card stock it is gorgeous. I like how you made the box card. Wow! 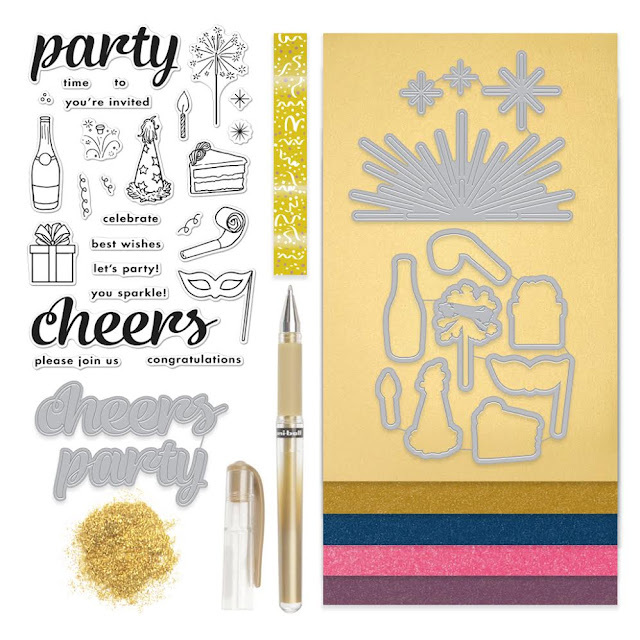 Such amazing kit for perfect celebration cards!!! I love your awesome pop up box card!!! I definitely know people who like to stretch their birthdays out into infinity and beyond. Then there are the poor December birthday people (like me). We have three birthdays within a week of Christmas in our household (and another three in the extended family). We're lucky if we can get one day to celebrate all the December Birthdays all at once. I love your card. What an awesome idea! Thanks for the inspiration and for sharing our talent. The kit is great too. So unique. This kit really needs to be used in a pop card box. I can't believe we can't see the video. I am so sorry for you about that. Party in a box! Amazing card from a wonderful kit. Love your card in a box! They are so much fun! This is a fabulous kit! That pop up card is so cool! Love how the elements are on clear acetate, so cute! Out of the park home run, my friend! Great project with this month's fun kit. Fun! This is a great creation! Thank you for sharing! 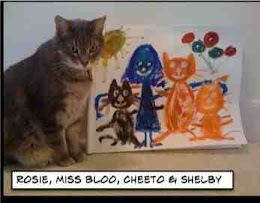 Oooh, how cute is that!! What a fun idea for a centerpiece!! Wow. Thats such a fun card! I absolutely love your pop-up card! So festive..
What a perfect presentation of a party in a card! I might need to learn this technique! Thanks so much. I love these type of cards and yours is wonderful! Great job! Gorgeous card! Love the party in a box idea! Thank You for sharing along in this awesome hop and for a chance at winning one of these amazing kits!